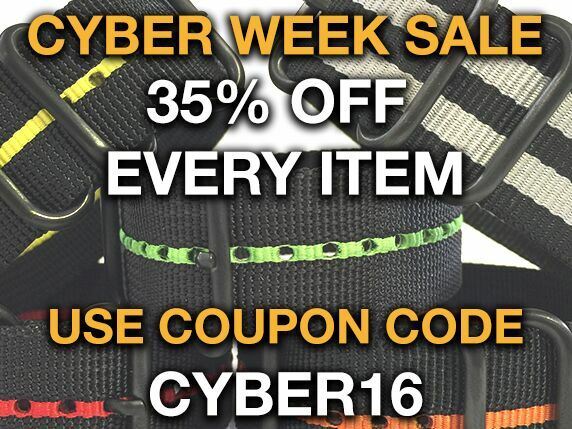 I just want to inform the Watchlords community that Panatime.com is currently running a 35% OFF Sale for Cyber Week. Simply enter coupon code "CYBER16" at checkout! Thank you for all of your support and have a Happy Thanksgiving! Just saved 20 bones on a new strap! Distressed Saddle Watch Straps only $24.99 after Coupon Savings! Last edited by panatime on November 28th 2016, 9:27am, edited 1 time in total.